Can you produce a great song demo on your own, or should you hire professionals to produce your song demo for you? 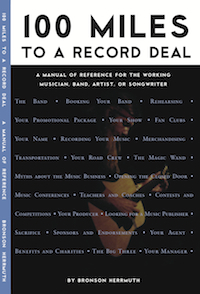 If you're really serious about your songwriting, especially if your goal is to become a professional songwriter and achieve monetary success with the songs you write, your recordings, your song demos, have to be special. They must inspire and stand out to give your songs and the true talent level of your songwriting, a fair shot in the industry marketplace. This is where you can give yourself an edge, where you can give your songs a real shot at success if you make the right decision, whether you're able to play an instrument or carry a tune as a singer. Never forget - and this is the most important part of this entire article - it makes no difference if you happen to be the greatest songwriter of our time, if you don't know what you're doing when it comes time to record your song demos. If you choose to record your own demos, you better be really good at it, because if you're not, you just made the worst decision of your life as a songwriter. If you know down deep that you're not a good singer, musician, that you really have no idea what you're doing when it comes to recording a great song demo - no matter how high tech your recording equipment is - you're sealing your fate and making the conscious choice to not give your songs any chance of commercial success. I've been recording professionally in Nashville for more than 30 years and I can say for a fact, there has never been a more affordable time then now, to record in Music City, USA. Never has there been a better time for any artist, band, or performing songwriter to come to Nashville to record your new CD or to take advantage of the incredible talent pool of musicians, singers, engineers and producers, to record your songwriter demos in some of the best recording studios in the world. Now I have but one simple question for you. Are you really giving your songs a chance for commercial success the way you are choosing to record them now? If your answer is yes, that's awesome! Good for you and I wish you all the luck in the world for huge success. If your answer is no, call me, because I've spent my whole career in Nashville, learning how to record a great demo. If you really do have a good song you've written, we can produce a song demo for you in a way that will take your song to a whole new level. That's exactly what we do in Nashville. We specialize in making music, writing songs, the art of creation. There's a reason we're known all over the world as Music City, USA. We earned it. Send me your song and let me hear your music and your recording. I'll listen and tell you exactly what I think and give you my input on what you should do next, no problem. I've produced many hundreds of demos and over 30 artists and I love working with songwriters and musicians and recording. Our door is wide open so all you have to do is walk in and turn me on to your songs and music. I'll listen and I'll get right back to you with my thoughts and comments. All my contact info is on our web site so I'm real easy to get in touch with, if you're serious about your songwriting and want me to hear your music. Now go write a hit song and send it to me!